"Writing a synthesis about my life is only possible by starting from a deep gratitude to my family and to all those who planted in me the seed of technical interest, those who encouraged me to love my homeland and its culture and those who taught me that boastfulness does not make you great, on the contrary, it degrades you. Also, to those who are carving out and had carved out a future in the Cuban history, making us proud of being Cuban. It is easy to work hard, with happiness and joy when it has to do with defending a history and a culture in which the best human virtues rise up as high as the Turquino. Thank you so much for the opportunity of contributing, even if it is from a small scale, from the bottom of my heart to this humanity project that constitutes our history and culture." He was born on April 28th, 1942 in Palma Soriano, Santiago de Cuba. He has lived in Santiago de Cuba city since he was 7 years old. José Pablo Navarro is the fifth of six siblings. He studied Chemical Engineering at the Universidad de Oriente, in Santiago de Cuba. He graduated from that high studies institution in 1964. José Pablo Navarro worked as a teacher of the school of Chemical Engineering till 1970. During this time, he was very active as a teacher and got to get a specialty in Physical Chemistry, Technical thermodynamics, Thermodynamics for Chemical Engineers and Mass Balance, as well as Energy applied to industrial plants. By 1968 he had already published some articles of academic significance. In 1971 he left his work as a teacher and started in the rum industry, where form the first days he found a wide and preferential field to apply all the knowledge he had gathered along his years of studies. 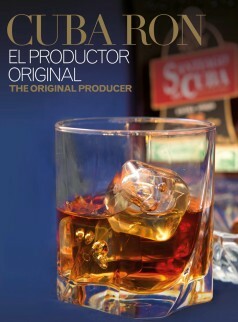 Since then, 40 years ago, he works in the making of Cuban Rum. His work in the Cuban rum industry includes a wide variety of aspects that piece by piece were building an integrity that goes from: 1) Sugar cane to finished Rum 2) Direct Production to Researches, Projects, Technical Designs, Whole Plants Planning and others; 3) immediate decisions related to urgencies in the production to the patient waiting of the years necessary for the aging process; 4) granting the stability of a well-known rum to the development of new rums required in the market; 5) taking care and organizing eaux-de-vie and rums according to type and age in a rum factory to get involved as well in all rum factories in the country; 6) the demands of the production of pure alcohol to the richness in the mixes needed in eaux-de-vie and rums; 7) the demanding economical result to the stability of Cuban rum preserving the inherited tradition; 8) the urgent result to dreaming of tomorrow success; 9) the personal deeds and knowledge to the satisfaction of sharing them, even in the national and international spectrum. All abovementioned explain his performance as a teacher, a technician, head of industrial plants, chief of departments and research teams, Vice-principal in the rum industry, Industrial principal and head of technical assessing teams. For our First Master, the title of Master of Cuban Rum constitutes "a synthesis of my entire labor life and a condition that has allowed me to present and defend the Cuban Rum worldwide." Science, technique, defense of the national culture and school are the melting pot where all virtues come together and constitute the pillars of his life related to the production of rum, with the conviction that focusing on the cultural and patriotic value of Cuban rum is what matters, because goods are perishables and can be restored in short time, but culture cannot. First Cuban Rum Masters .